This month marks our 15th year of running this once-side-project called Poketo. I want to start this letter by saying thank you to everyone who’s followed us on this journey. Thank you to our customers, our community, and most of all, our hardworking, creative, and passionate staff. We wouldn’t be here without you, much less as a thriving company with 15 years of history. When Ted and I first started Poketo, neither of us had any background in business or knew anyone who did. If someone had said we would someday own a company with 20 employees, five brick and mortar shops with events, art shows, workshops, and our own products carried in hundreds of stores internationally, I would have laughed. I never could have dreamed of this. While we were building Poketo, we were always too busy with our day-to-day to celebrate milestones, but I think being a thriving independent business for 15 years is something to celebrate. So, I want to talk through our milestones and tell some stories we’ve never told. In 2003, when we started Poketo in San Francisco, Ted was working in film and video and I was a full-time student getting my second degree in graphic design. We were surrounded by starving artist friends with amazing work that never sold since all of their shows were attended by friends who were just as poor. We thought, what if we made something that was utilitarian, that all of us could afford, and that we could carry around with us instead of hanging on our walls. So, we came up with the idea of making wallets with prints of our friends' artwork. We printed and made the wallets in limited editions at my art school, California College of Art. We spent countless nights staying up until the wee hours of the morning, printing artwork on my school’s painfully slow printers and hand coding our first website using HTML. It’s funny now but why did we do everything the hard way? One balmy night in October 2003, we threw an art/music show. We rented a small community gallery, put our friends’ work up on the walls and had wallets for sale. None of the artwork sold but all of the wallets sold out that night! I remember walking home to our tiny studio apartment across from Dolores Park in SF with butterflies in our stomachs. We were already so excited about the artists we could invite to be in our next series. We moved into Ted’s parents’ Los Angeles home for a year and knew we wanted to give Poketo a go. I put all my time and energy into growing Poketo and made it my full-time job and, apart from the occasional freelance gig, Ted did too. Before long, business started taking off. Soon, all our boxes of products took over Ted’s parents’ house. Their dining room became our shipping center and Ted’s father had to side step to get from the living room to the bedroom. We were ready for a move. In 2005, we found our own LA home and moved out. I remember Ted’s father doing a victory dance saying “We have our house back.” Our new house had a tiny kitchen, two small bedrooms, one master bedroom and, best of all, two big garages. Perfect, we thought, we can keep all our goods in the garage and turn the master bedroom into our office. We worked morning till night and the boxes started taking over our living room and office. Artist friends who were living in crazy makeshift industrial loft buildings would visit and ask, “How do you live like this?” That’s when we realized we needed to find a new workspace. 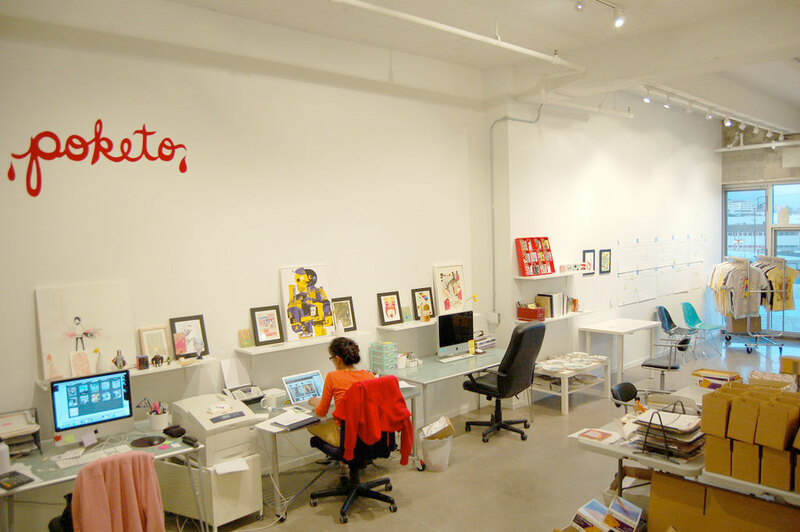 In 2007, we moved Poketo into a brand new loft building in the Arts District, the eastmost part of Downtown Los Angeles. Having a real separation between work and home gave us more opportunity for events, and the ability to hire staff. We continued to do collaborations with different artists and expanded our product line to include not only wallets, but apparel, housewares, stationery, and accessories. In 2010, we had our biggest collaboration yet: a 52 piece accessories collection with Target. We worked with over 20 artists to make bags, purses, umbrellas, water bottles, laptop cases, and more. The capsule collection popped into every Target store in the entire country displayed on 8-foot racks, front, and center. People from all over the country sent photos of themselves posing in front of our displays, with most of the racks bare and picked through. The collection had completely sold out. We had grown our business from just two of us to a full-time staff of six and were producing more and more products. It wasn’t long before our once-immaculate loft turned into a monster mess and we were bursting at the seams again. In 2012, in search of a newer, bigger workspace, we came across an empty storefront on the opposite side of the then-desolate Arts District at a very affordable rent. At 4,000 square feet, it was nearly 4 times larger than our loft, offering us room to grow. This was a big step for us. The rent was higher, space was bigger, and the neighborhood was a ghost town with little to no foot traffic. But, we signed the lease and moved our operation into the new space. We designed the office and store ourselves, making movable fixtures so space could constantly evolve depending on the art shows and events we had. We started having bi-monthly art events, talks, and numerous workshops to engage our community. We needn't worry. 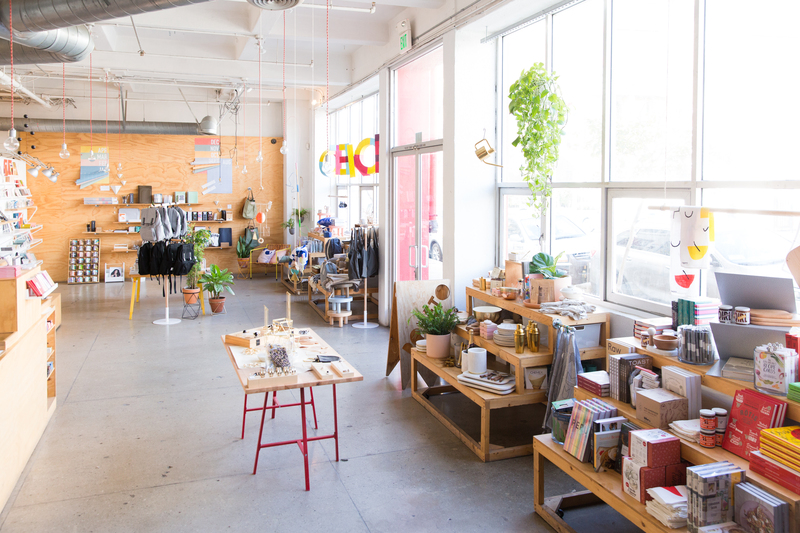 It wasn’t long after that our shop started receiving various awards including “the best shop in LA”, and started being included in publications like Monocle and Wallpaper Travel Guides as a must-visit shop. 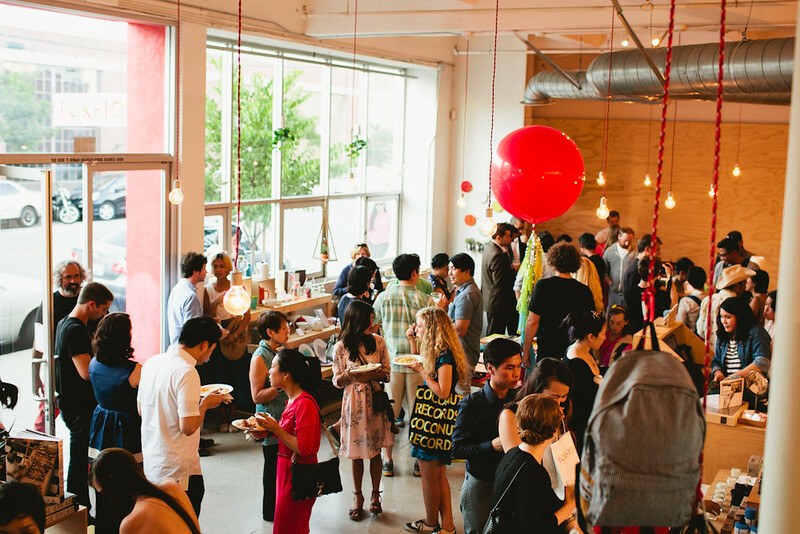 In 2014, we opened our second location inside the new The Line Hotel in Koreatown. We developed a more robust workshop program with topics ranging from art, design, and business to social media, and even food. 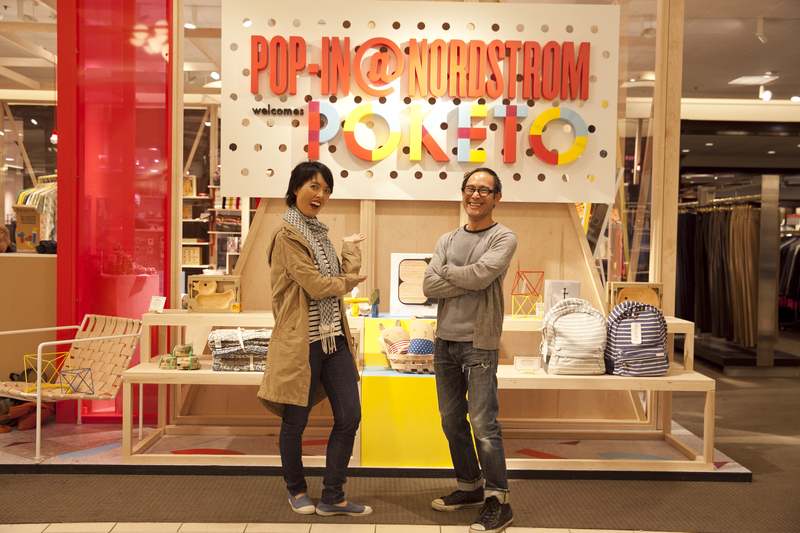 In 2015, we “popped-in” to eight Nordstrom stores nationwide as part of an ongoing series of themed pop-up shops featuring eclectic products in specially designed displays. We worked with Nordstrom’s team to create these mini versions of our store and filled the pop-ups with some of our favorite designers. In 2016, we opened our first Westside location in Culver City, at the new retail project Platform. Now our customers didn’t have to travel all the way from the Westside to Downtown to shop. Believe me, with LA traffic, a drive like that is a big deal. By 2017, the once-deserted Arts District was transformed with new eateries and shops, becoming the hottest neighborhood in Los Angeles. Buildings were going up everywhere and all the old properties were snatched up by developers. Our building was one of these properties and we had to move out of our first location. As we left, our community came through to support us, telling us how much they loved having us there and how important we were in building the neighborhood. Luckily, we found another home just a few blocks away in Little Tokyo and moved our shop there, where it stands today. 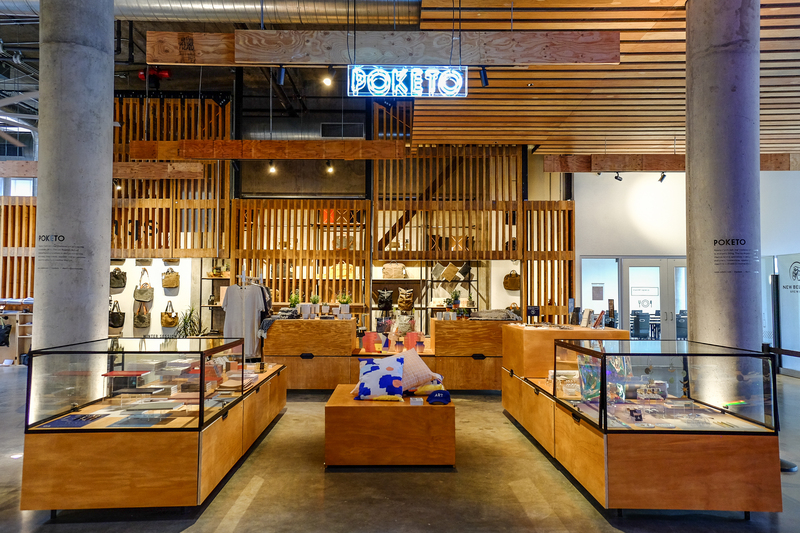 In 2018, we opened our biggest and most daunting shop to date: The Poketo Project Space at the new retail project, ROW DTLA. In preparation for leaving our Arts District location, we had been working on this new space for over two years. When I say worked, I mean we did everything, from HVAC, electrical, and plumbing, to the floors and fixtures. What was once a parking lot for a produce market, is now 3000 square feet of interactive concept space where we hold many of our workshops and pop-ups featuring our favorite brands and designers. 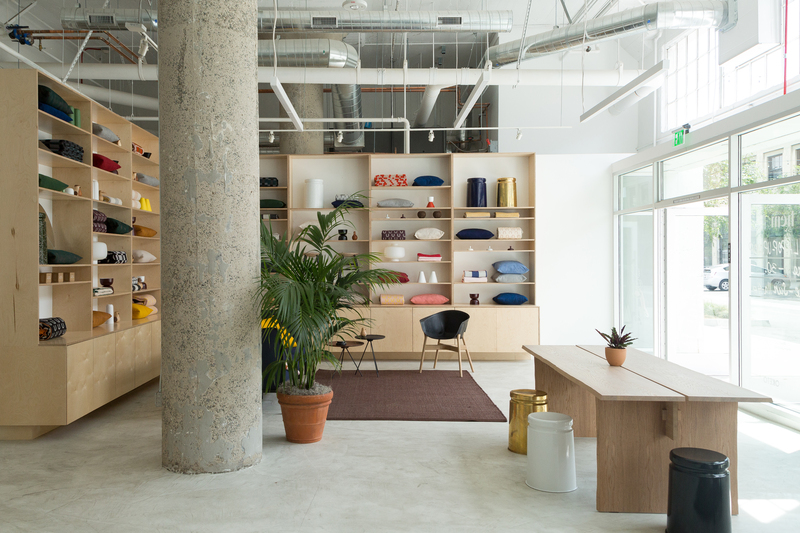 So far we’ve hosted Garmentory, Baggu, Swedish furniture design house Hem, and furniture designer Stephen Kenn. 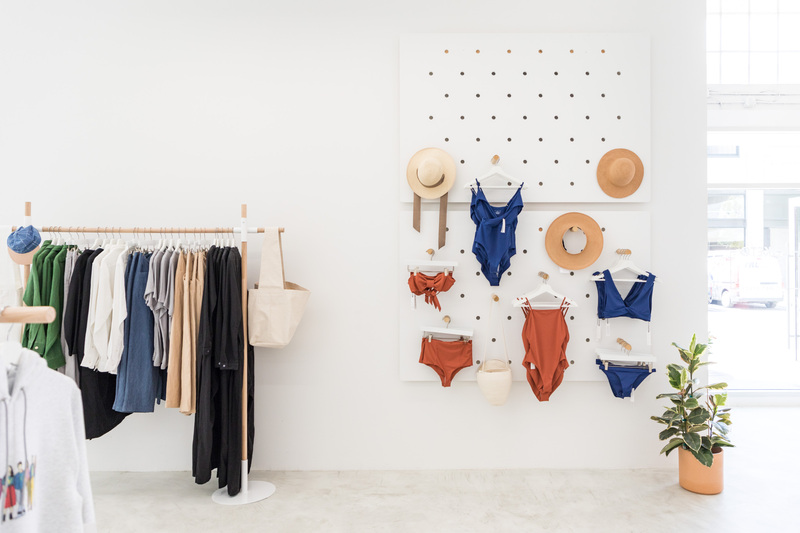 This month, we are opening our next Row DTLA pop-ups: a Korean Design Pop-Up held in collaboration with the Korean Institute of Design Promotion, and a pop-up by furniture design team, Estudio Persona. June of 2018, we also had the honor of receiving the EDGE Award. The EDGE Award recognizes emerged talent who are making a mark on their industries and communities, and we’re thrilled to be recognized. 2018 also brought us the opportunity to open our first shop outside of LA at Denver’s brand new hotel project, The Source Hotel. We’re in the last stages of finishing our upcoming book published by Chronicle which is due to come out Fall of 2019. It’s about our friends, artists, collaborators, and the spaces of people we admire. It is not an interiors book about the rich and famous living in unattainable homes. This book is a celebration of creatives, their work, their spaces, and their personal and professional philosophies. We are excited to continue creating and designing products that are beautiful, unique, and useful, that bring joy and efficiency to your lives. We look forward to collaborating with more designers, brands, artists, makers, and creatives to bring art and design to your lives through exhibitions and workshops. Here are some of the questions we get asked the most. If this doesn’t cover it, always feel free to email us at hello@poketo.com or via @poketo on Instagram and Facebook. 1. How did Poketo Start? I used to always say that we didn’t start Poketo, Poketo started us. It really was an accidental business. It's a side project turned business. 2. Where did the name come from? Since our first product was the artist wallet, I thought of the word “pocket” and the way my grandmother pronounced it, with a Japanese/Korean accent, as “poketo”. We liked the way it sounded. 3. How do you pronounce Poketo? It’s Poh-Ke-Toe, not Poquito, not Poke-too, not Pocket-o. 4. How the hell do you live and work with your spouse? I guess it’s always been that way from the very beginning so we don’t know anything different. I’m not saying it’s easy but we’re always supportive and we’ve got each other’s backs no matter what. We often have differing opinions but always come to a compromise. 5. Wow, how did you guys grow so quickly? Well, we didn’t really. It took us 15 years. It took us 9 years just to open our first brick and mortar. Not many people know that we existed for 9 years before we opened our doors. 6. Do you guys have investors? Nope, never, we don’t owe anyone one cent. We are 100% independently funded, thus the slow and steady organic growth. 7. What’s the hardest thing about owning your own business? See above. Trying to run a completely independent small business in the age of Amazon is really freaking hard. We’re your local business, we employ your local workforce, and we give back to your community through different non-profits so people, please support your local businesses every day. 8. When are you opening a shop in SF, NY, Tokyo, London etc.? We don’t have definite plans yet but if the opportunity is right and we feel good about it, you’ll be the first ones to know about it. 9. 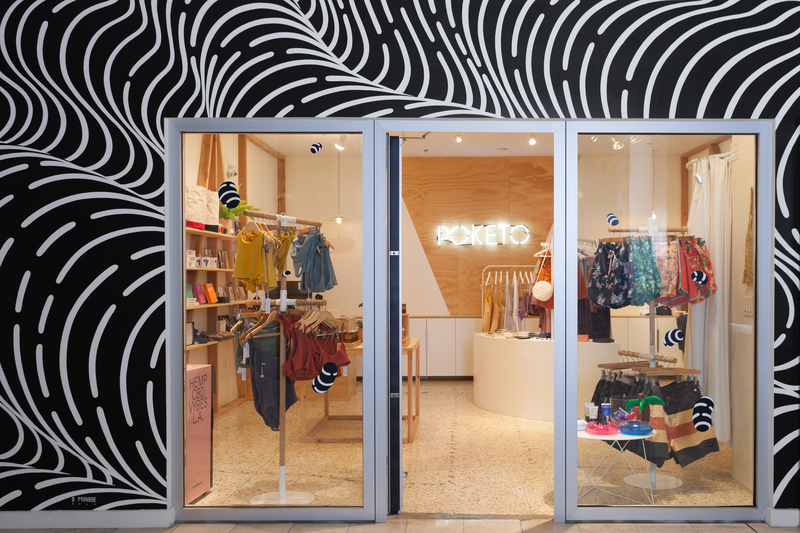 What’s next for Poketo? See the “2019 and beyond” section above. To be honest, we never wrote a business plan and we’ve never had a 5-year plan. We grew organically and slowly, and we plan to do the same little by little. That’s part of why we’ve lasted this long. 10. I want to start my own business, any advice? Have an original idea. Find the right people to work with. It’s a long, tough road and having a team to rely on and work with towards the same goal will make it much better. Don’t do it for money. There are much easier ways to make money. Do it for the love. As someone taking small steps toward building arts-centric brand, this story made me feel a little giddy. Thank you so much for sharing. Congrats Guys!!! Very fun to read through the Poketo Journey and so relatable on many levels. 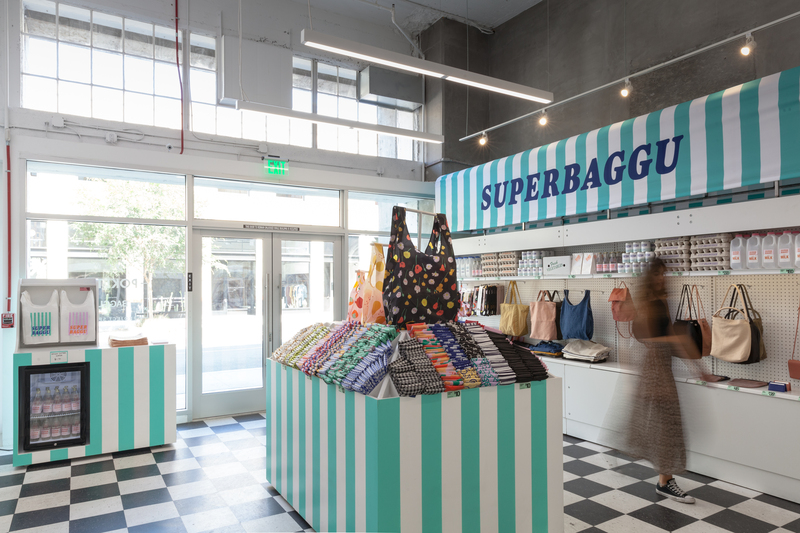 Awesome to see our trunks in the photo of The LINE shop, thanks for supporting our small family business over years. Cheers to many more years of growing our businesses together.